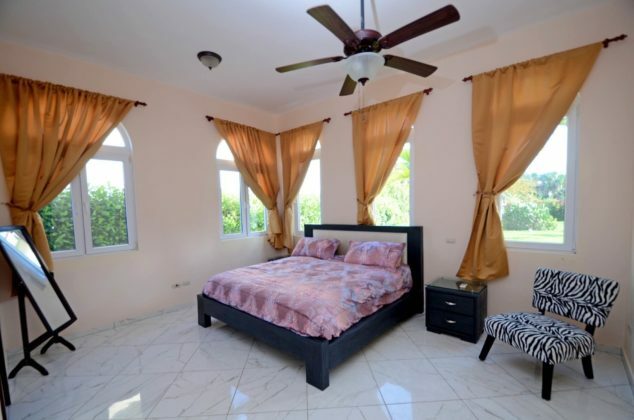 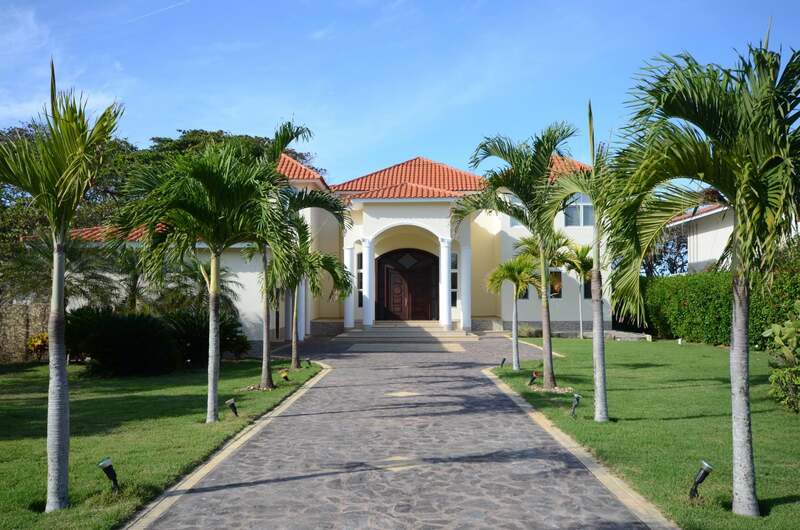 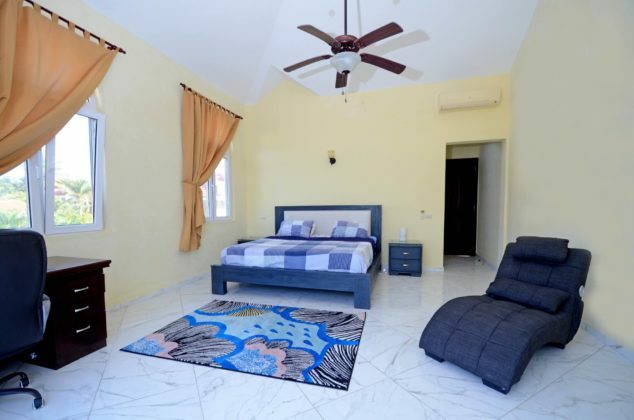 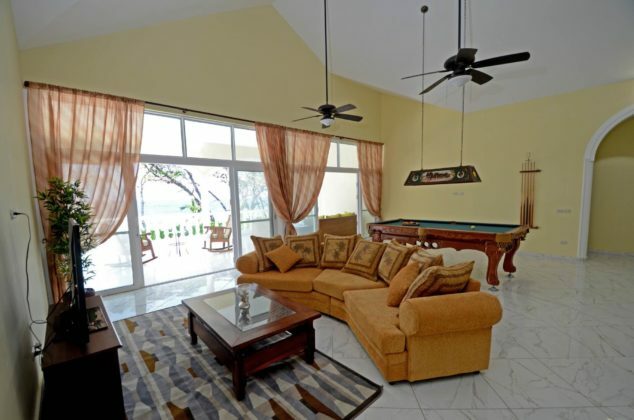 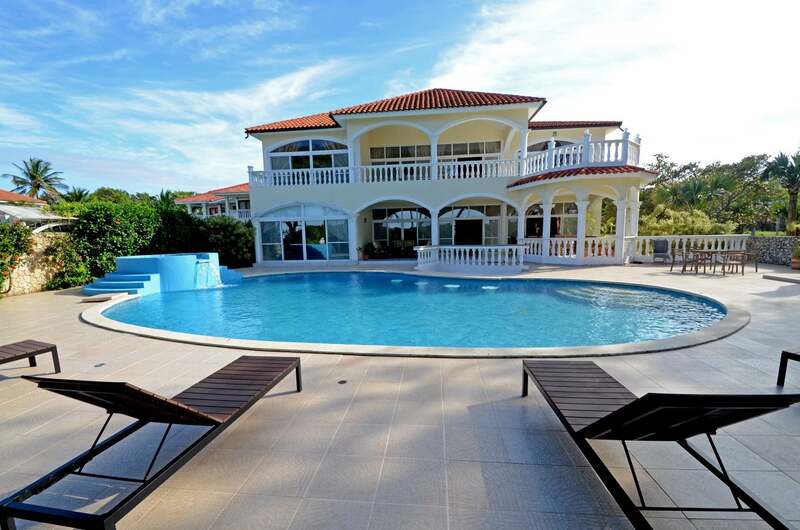 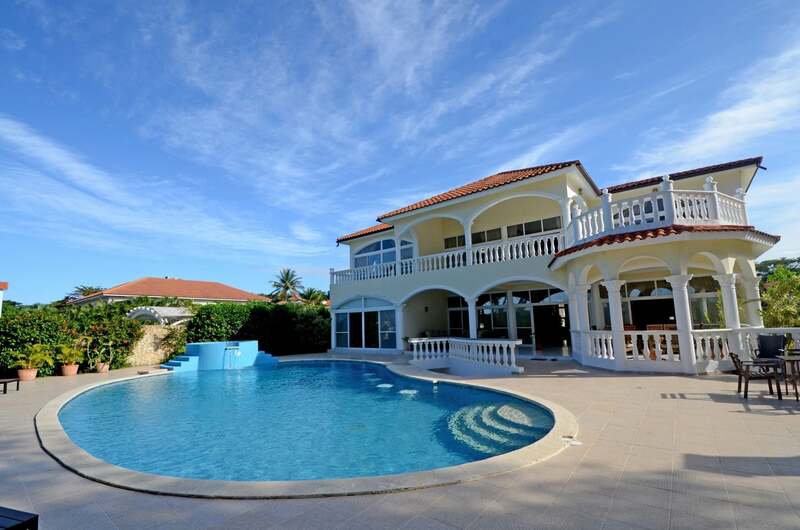 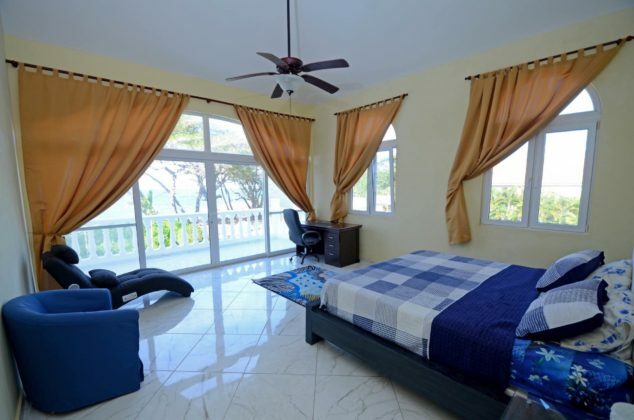 12 Bedroom Bachelor Party Villa Sosua Dominican Republic, set between Sosua and Cabarete, this 12 bedroom oceanfront villa rental feels like a true party house for events such as family reunions, bachelorette parties and even weddings. 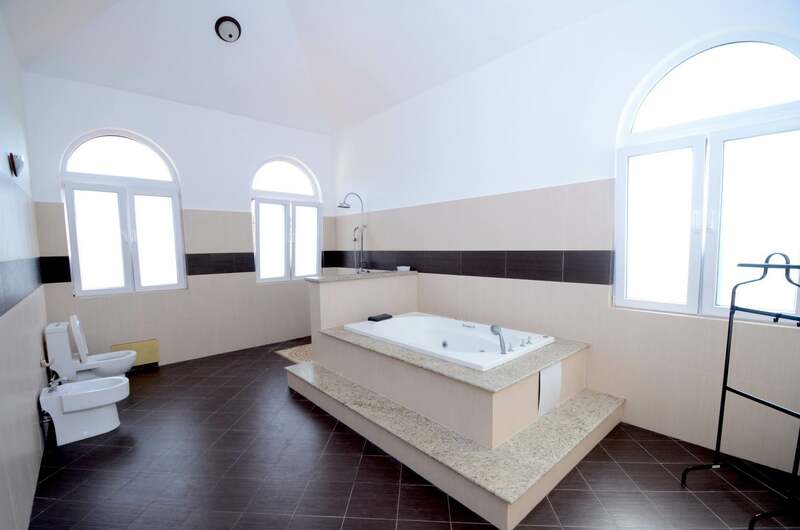 Its large capacity can take up to 26 people comfortably, and its three- floor configuration allows for privacy and layout convenience. 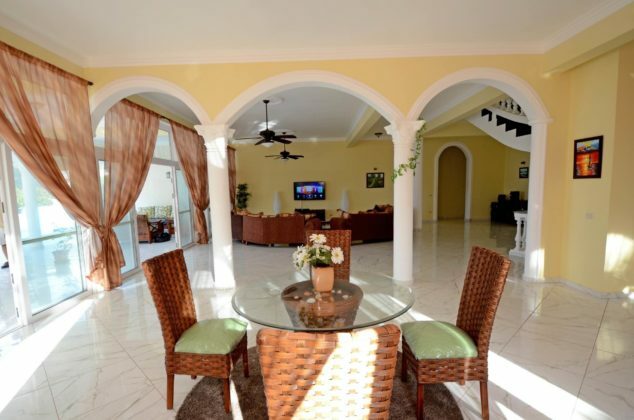 The first floor has a massive living room that includes media area with wrap around sofas, a deluxe kitchen with elegant cabinets in dark wood, and arched threshold flanked by Corinthian capitols on the pillars. Everything about this villa is oversized, and there are two suites on the first floor that show off in size, one on the pool side, and a second one with view to the front garden. 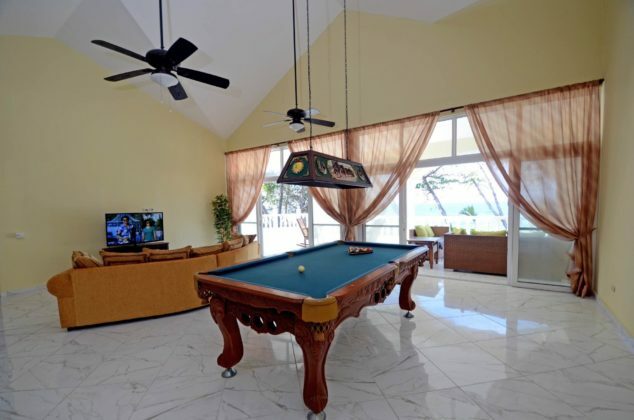 The first floor veranda has a dining table, lounge, ample deck and swimming pool with wet/dry bar and jacuzzi. 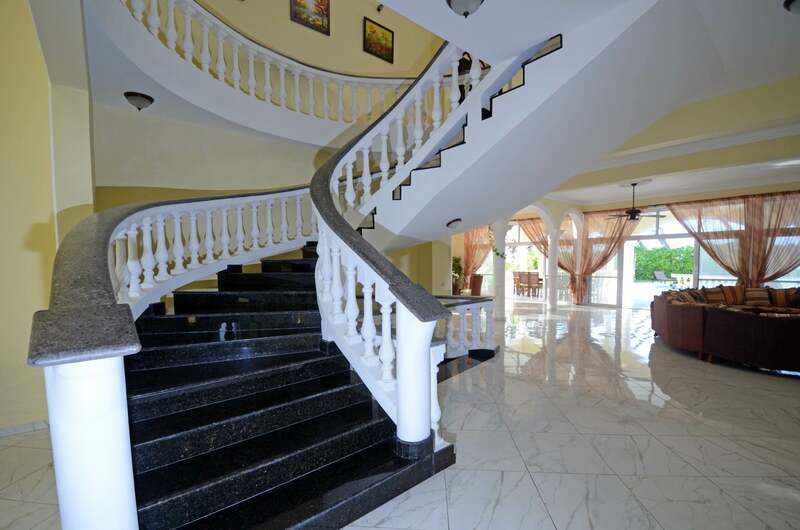 Going up the spiraling staircase, the second level has a family room with media area, a fancy pool table, second floor balcony with the best views of the ocean and three more suites, two of which are ocean front. A mini bar with stereo system is there in case the party is taken to this floor. 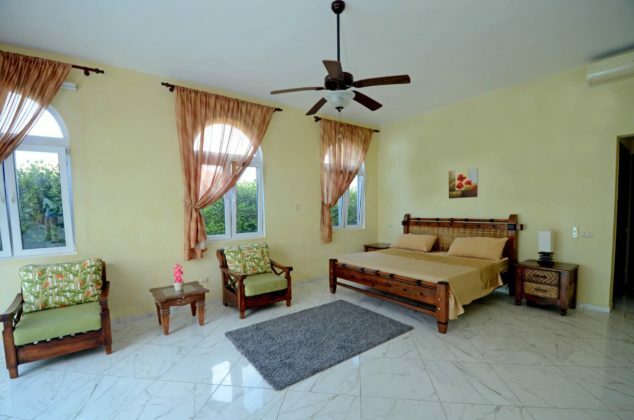 The rooms here are all super big, beds also sized accordingly. 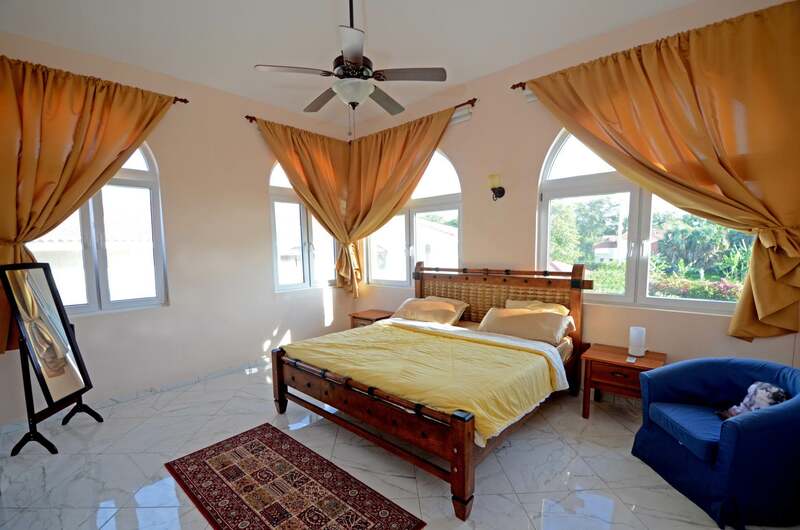 One of the suites have double beds; a copy of The Kiss by Gustav Klimt shows the owner`s taste for truly pure Art Nouveau. Each bedroom has air conditioning, also the essentials such as towels, linens. Going down the staircase, past the first level and into the basement level, the rest of the bedrooms complete the 12 room configuration. 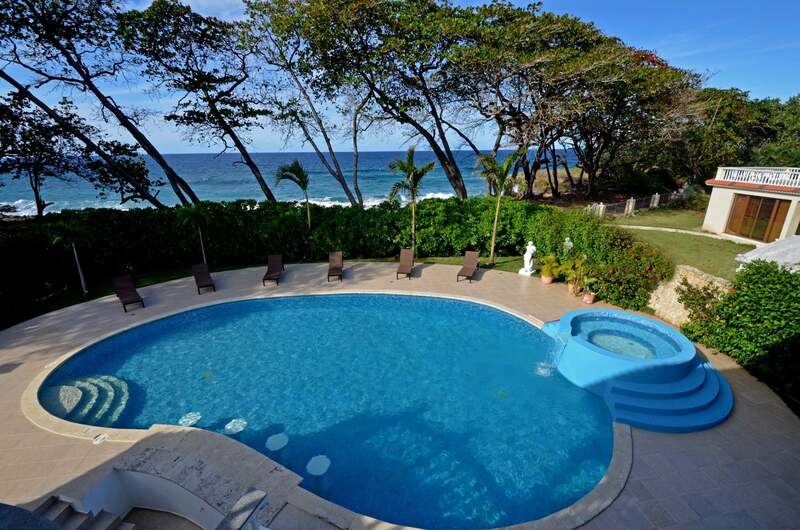 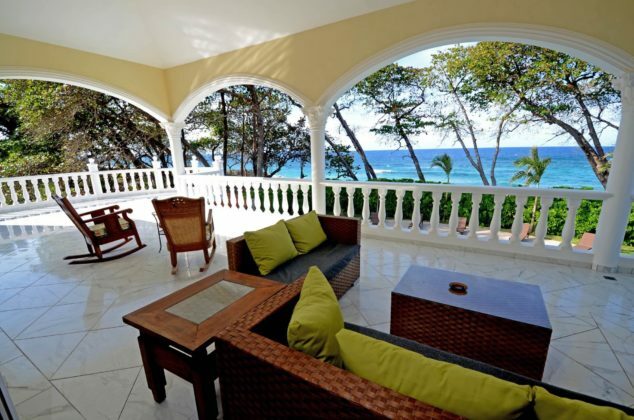 Sosua is famous for hosting many bachelor and bachelorette parties in its villas, and this 12 bedroom oceanfront mansion is highly recommended. 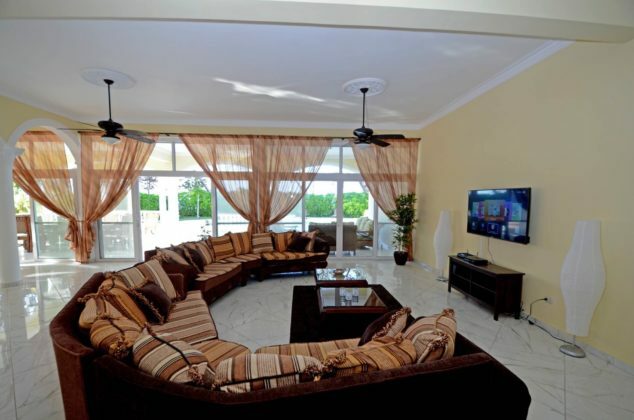 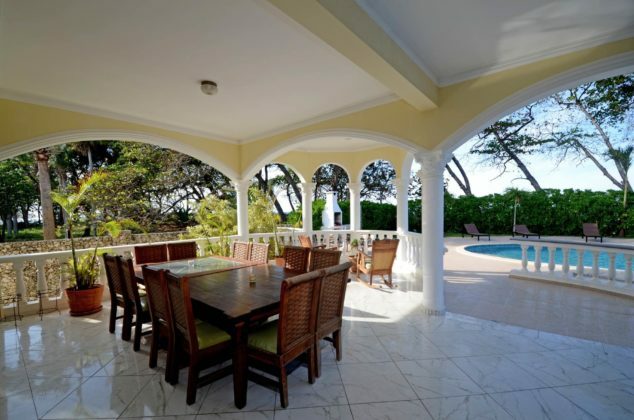 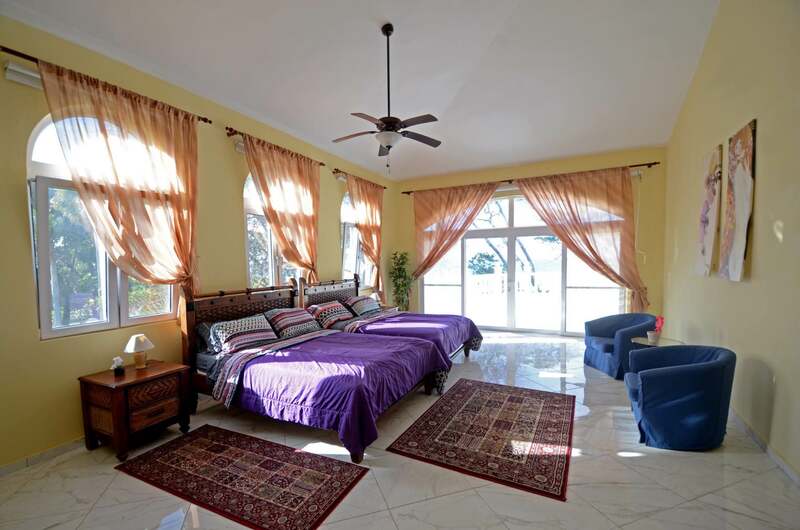 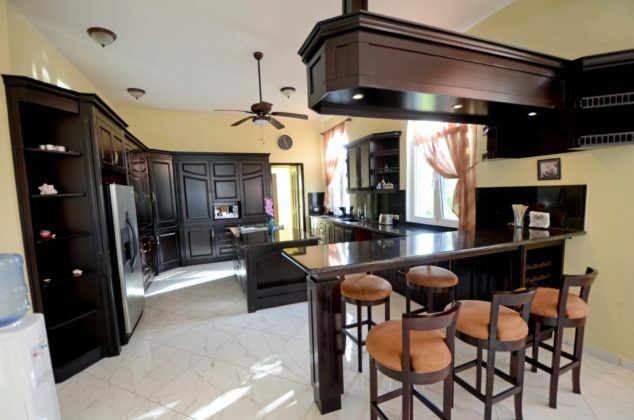 A neighboring 6 bedroom rental also hosted by us can be added if the group is larger. 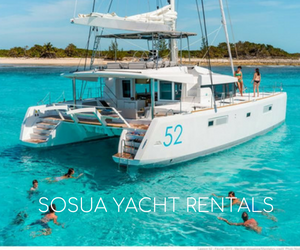 VIP features such as private driver and chef can be added to the order, also DJ and yacht party.